Hi Lovelies, I hope all you US based girls had a lovely Labor Day. I spent the day out on Long Island with my best friend on the boat and having lobster. A perfect way to end the summer. Anyway, I have been getting a lot of posts for Fall Fashion trends and here it is. I am going to post a few of my must haves for this upcoming fall season! These are my TOP 5 must have items for fall. 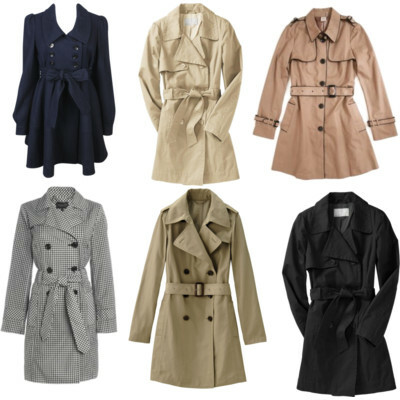 What are your top 5 Must have items for fall? I'm seriously lusting over those boots! Definitely agree about your 5. I'm on the hunt for the perfect trench and the shearling jacket at the moment. My top for fall would be the dark plum lip & the booty. amazing post! 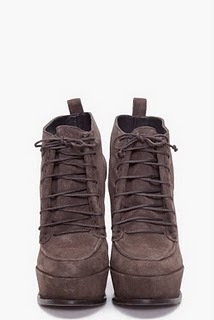 dying for some booties like that! I want everything you just posted. Those shoes are to die for! I love your top 5 trends! 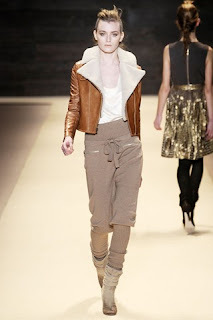 Who are or is the designer(s) for the first two pics of the cropped shearling(s)? Please let us know! I can't do chunky shearlings because I am 5'11" and a size 10 with a D cup...I'd look way too bulky for my taste! The first two are perfectly thin enough for my build. Let me/us know! I agree with other commenters - sigh....boots, boots, and more boots! I'm obessing over the chunky knits! also agree with anonymous - red hair, though might go for a dark auburn. lipstick - yes, I'm actually tired of wearing gloss only! a good pair of black pumps for work - I may have to save up for these!